I have spent the last 4 years bringing in the New Year helping with a portion of Audubon’s Christmas Bird Count. (This year marks the 117th year of the count making it one of the longest running Citizen Science projects ever.) Our portion of the count always happens the Saturday between Christmas and New Years, putting this year’s count on New Years Eve. We meet early (but not as early as some) and get a good morning start. It … Was … So … Cold. I am not typically much of a complainer but everyone has their limits. This day was about 25 degrees, which is bearable, but this annoying persistent gentle wind would not stop bringing icy temperatures into my core. This wind pushed all of the birds into hiding and energy saving mode. We would all get excited when we saw movement only to realize it was a leaf blowing across the bitter landscape. We only had decent results if we we lucky enough to have a bird feeder near each stop. Our numbers were definitely affected by the wind – in 4 hours we saw 27 species (down from 35 species the last few years) and under 500 birds (down from 1500 last year). Our numbers for this particular part of the count haven’t been this low since 2010. 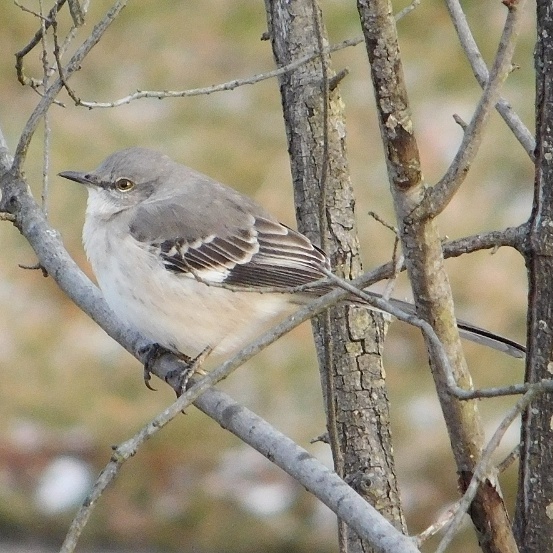 I did manage to get a nice shot of a feisty Mockingbird to document the day. 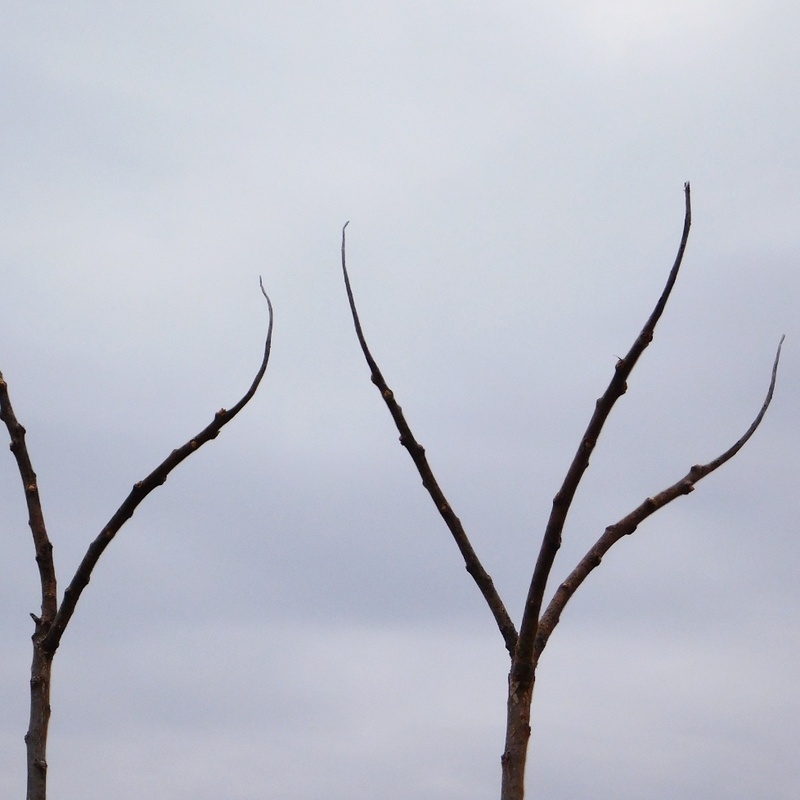 We were so desperate for a raptor that even the tops of some trees started to look like talons. As disappointing as it was, any day you can spend with friends and volunteers is an amazing day. I drove home and got warmed up and went out to dinner with the Bubbas. Driving home I was still in birding mode and got the Rock Dove, aka Pigeon as my last bird of 2016. They might not seem like much, but they do share an important part in American history, so I am happy. We don’t do much for New Years Eve so it was nice to sit around the fire, watch a movie and just relax. I was in bed by 10:30 listening to some favorite podcasts and spent the changing of the year snuggled in bed surrounded by my furry family. Wake up time (I should actually say breakfast time) for the little furry monsters is about 5:30 AM. I am not sure if they woke me up or if it was the outside help. I was in the state of not really being awake but semi coherent and that when I heard it. The unmistakable call of the Great Horned Owl. Excited for my first bird of 2017 to be one of the raptors we wanted to see yesterday, I vowed that a first day hike would be in my schedule for the day. I wanted to see if I could find where the Owl was roosting for the day. Our New Year’s Day was amazing. The crazy wind was gone and we were surrounded by sunshine. The hike came easy and I was warmed by the sun and the physical activity which was welcomed after the overindulgence and sedentary times of the holidays. I headed to the one and only place I thought the Owl would be – the Big Pine. This is the only tree near the house that would give the Owl any good shelter and a sufficient hiding spot. I headed to the tree on my way up the hill to the clearing and looked up into the tall, thick branches waiting to see the yellow eyes staring back at me. Unfortunately for me the owl had moved on. Even though I didn’t get to see the Owl, I got to spend some wonderful time outside, alone and with the land that surrounds us. I know the Owl is here (the Barred and Screech are here too) and for now, knowing it is here, is all I need. For more nature photos you can follow me on Facebook or Instagram! Love, love love this amazing and beautiful creature!